The back-end is a Node.js server running on Heroku. Similar to tetris, the player drops blocks into a grid and tries to make them disappear, which sends them to the other player. 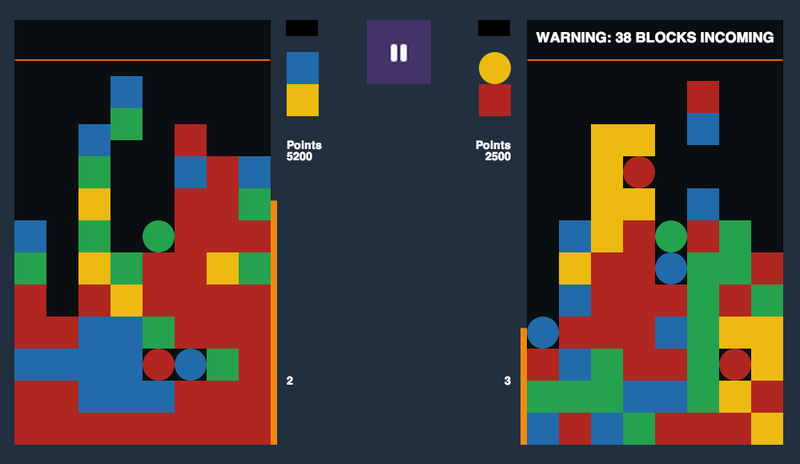 Land a circle adjacent to a block of the same color to destroy them, create combos to multiply the number of blocks sent over to your opponent.